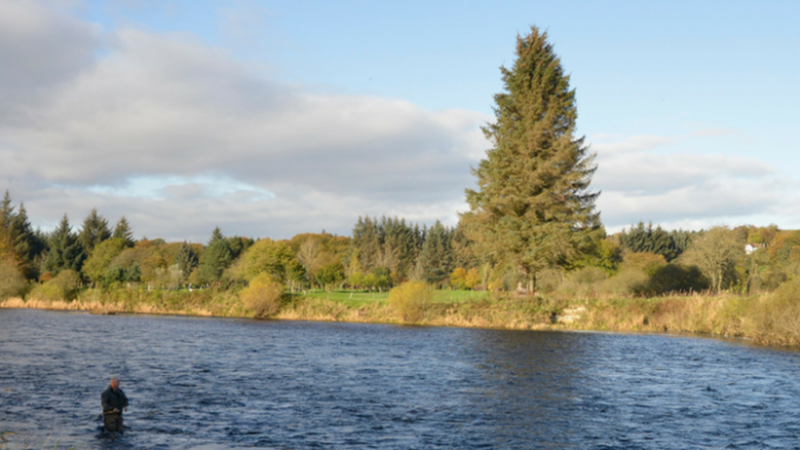 The Inverness office of Galbraith has launched the sale of the Ardoe and Murtle beat on the world famous River Dee. Purchased in 1990, this lower Dee beat extends to about 1.5 miles and has 11 named pools. It was successfully timeshared by Salar Management Services Ltd, the current Trustee in the early 90's but it is now being offered for sale as a whole with the exception of a small number of rod weeks. Along with the majority of salmon rivers, the Dee has experienced a reduction in salmon numbers returning to the river and the current five year average catch is now 100 fish. In the recent past however, catches exceeded 250 fish with 364 being caught in 1989. If the situation with the wild Atlantic salmon improves, this beat, which has great fly fishing in different heights of water, offers huge potential. The Ardoe and Murtle beat is readily accessible, being only four miles from Aberdeen and opposite Cults. It has a comfortable fishing hut on the south bank and a currently disused stone hut on the north side which could be readily converted into a second fishing hut if required. Although in recent years salmon fishing on the River Dee has, in common with many UK salmon rivers, has been less productive, this is a very attractive beat with great potential and if things improve, this sale offers a fantastic opportunity for somebody to take advantage of the current situation. The Ardoe and Murtle Beat is being offered for sale at a guide price of 350,000.